Radiology Malpractice | Miami Medical Malpractice Lawyers Gerson & Schwartz, P.A. Contact Kendall Personal Injury Attorney Gerson & Schwartz, P.A. However, victims and their family members are able to find some comfort from the law, as there are legal provisions in place that enable financial recovery. These victims hire personal injury attorneys to bring claims against their doctors, which leads to financial recovery. Victims are able to recover the costs associated with any injuries caused by negligence of these doctors and sure accountability is had so that others aren’t harmed in the future. The results of this study are no surprise to attorneys who have advocated for victims in these types of lawsuits. According to the report, the most common cause of these lawsuits are diagnostic errors. The most common misdiagnosis was for breast cancer. There are also a significant number of errors related to diagnosing non-spinal fractures, spinal fractures, lung cancer and vascular disease. Some of the other reasons for misdiagnosis include failure to communicate with the patient, failure to recommend additional testing and procedural complications. The results of these findings and similar research into medical errors is a reminder of the need to be vigilant when choosing doctors. When choosing your medical provider, make sure that you research his or her history online and read reviews from other patients. Talk to neighbors or family members who use the same doctor. If you are having a medical examination for a serious condition such as breast cancer, then it will not hurt to get a second opinion. Misdiagnosis of cancer can be fatal, as time is essential to receive the most effective treatment. And as this report demonstrates, misdiagnosis of breast cancer occurs far too often. If you are misdiagnosed or the victim of another medical error, then consulting with an attorney may be in your best interest. 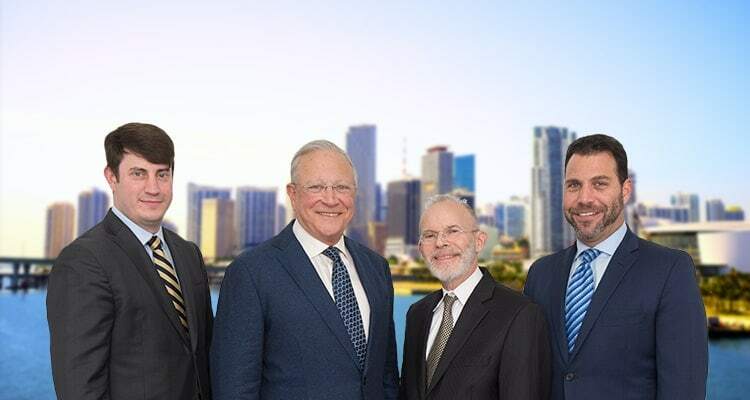 In Miami and other south Florida communities, take a moment to call the malpractice lawyers at Gerson & Schwartz to see how we can help.